Kathleen Meara is from Fort Scott, which is just east of Uniontown, where this project started. 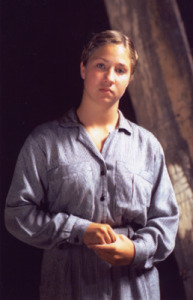 She is a sophomore in college and for over 14 months she played the role of Irena Sendler, all over the United States. Kathleen is 24 years old and works in Kansas City.